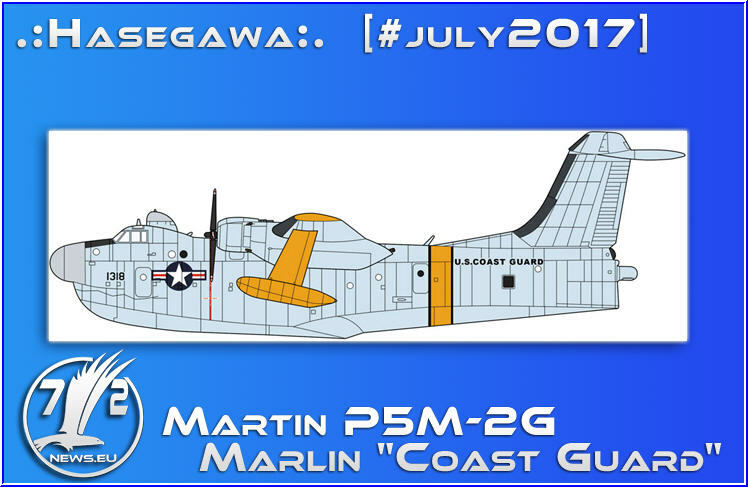 While the P5M Marlin flying boat was originally intended for naval patrols, the United States Coast Guard relied on the P5M-2G variant for air-sea rescues. This version was equipped with a T-tail that protected tail surfaces from excess spray, as well as an AN/ASQ-8 MAD boom to detect submarines. However, Marlins were deemed too difficult to maintain, so the Coast Guard eventually transferred their fleet over to the United States Navy. This limited edition kit features one marking option for the United States Coast Guard.